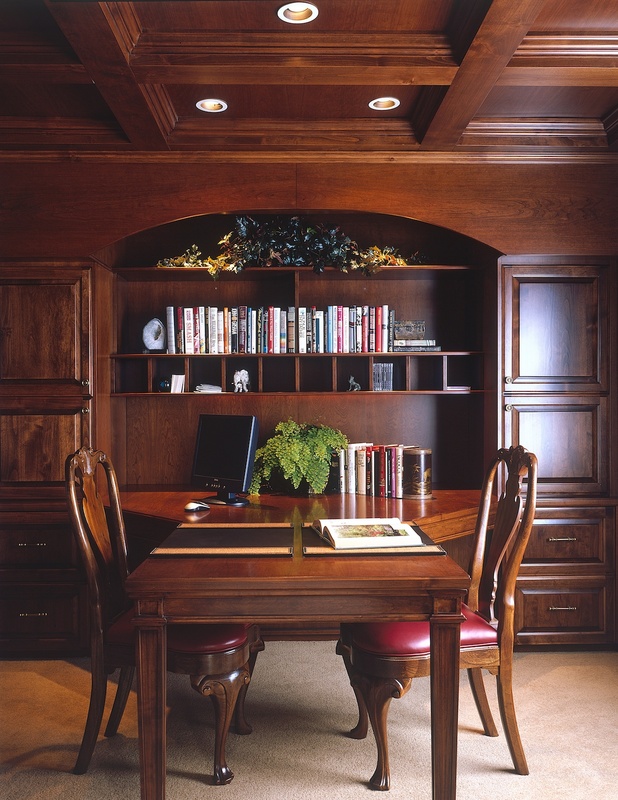 This traditional home office design features custom cherry woodwork in its wall panels and coffered ceiling. The partners desk hides pull-out keyboards, files, and printers. 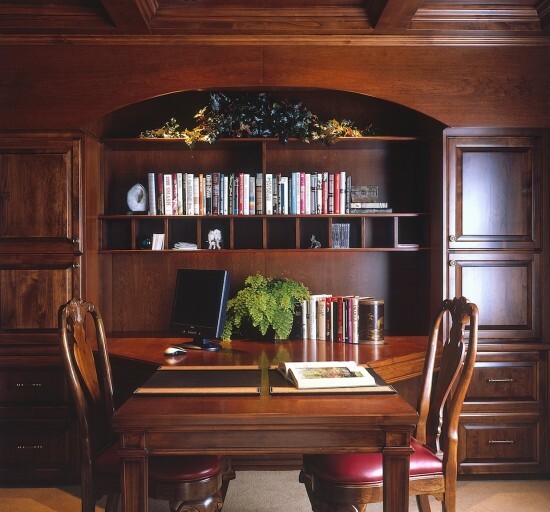 "Ornate details abound in this elegant yet inviting home library."